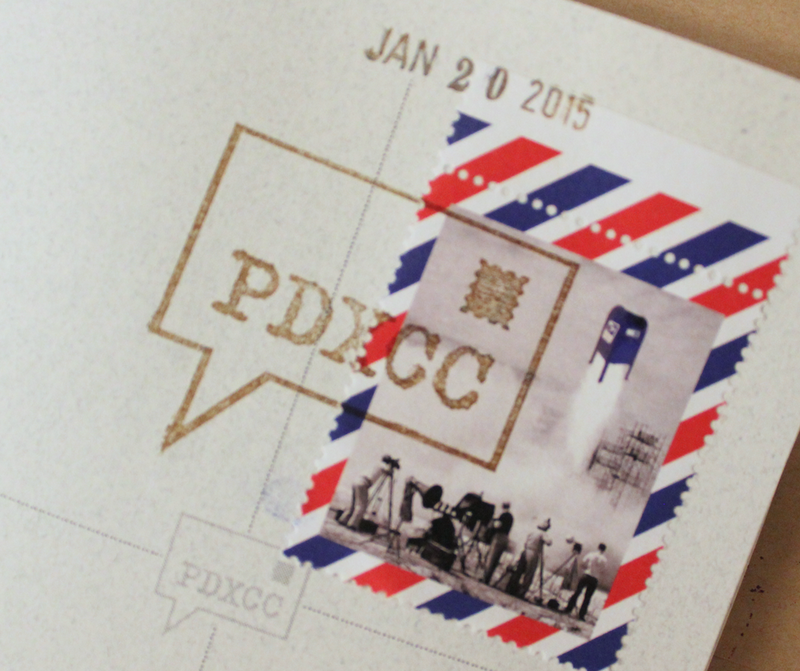 On Tuesday, January 20th, I went to the first meeting of PDXCC, or Portland Correspondence Co-op. 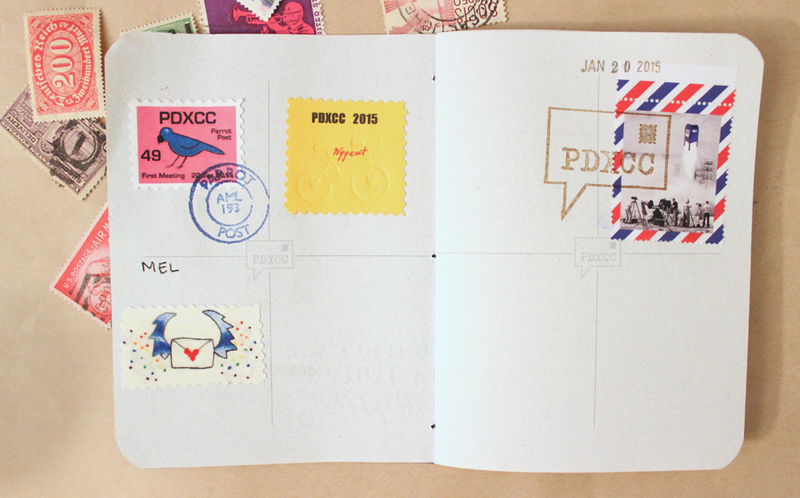 The meeting was held at the IPRC, and it was basically a letter writing social. It was so much fun! I was completely surprised to see how many people were there; there had to be at least 30 people! To be fair, I haven’t been to a lot of letter writing socials (okay, I’ve been to one) but I never imagined more than 10 people to show up to one. 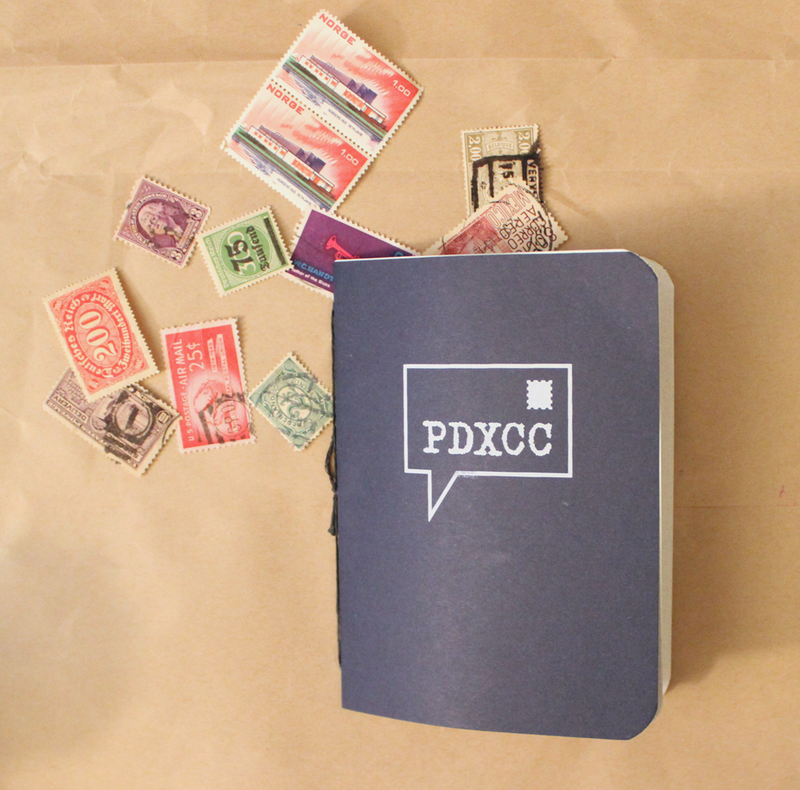 I guess it’s not that surprising, Portland is a city full of creative folks! The meeting started out with a little speech by Niko, who started the PDXCC. It was a great introduction for the people who weren’t too familiar with mail art, and he also passed around some great examples of mail art and mail art books. After that, it was a free for all! I did more socializing than letter writing. 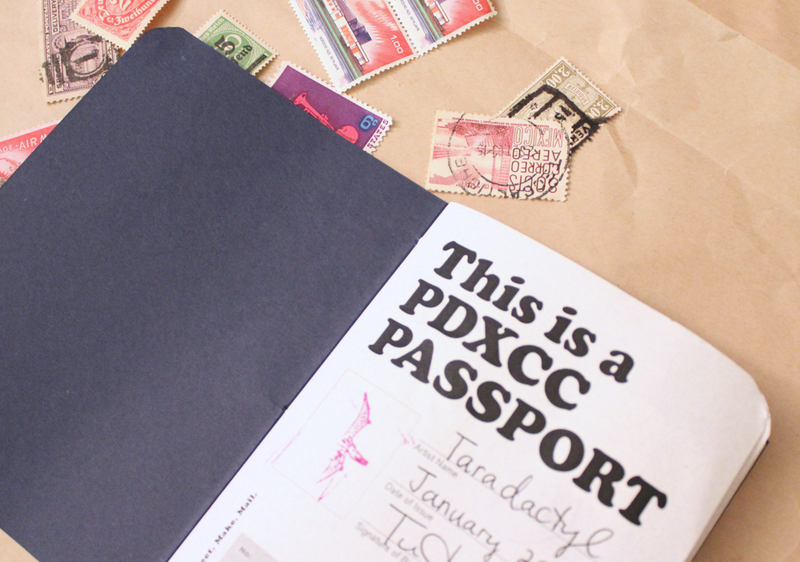 I grabbed one of the passports to get my first official PDXCC artistamp, as well as a few other artistamps made by some of the attendees. I shared a table with several people, most were collaging postcards. I ended up talking to a nice woman named Samantha for most of the evening. She is an avid letter writing but didn’t know much about mail art. I told her about my experience with mail art, and about the kind of things people send along in letters. I showed her the stationery I made, and gave her some suggestions on how to find some cool pen pals. I’m so happy I went! I had a really hard time leaving my apartment (I always do) but knew that I was going to have some fun so I forced myself to get on my bike and head down. These will be monthly meetings, and the next one will be on February 17th. I’m hopefully going to have some time to make an artistamp for the event! One of the conditions of taking a passport is a the promise to make a stamp to distribute at a future event.